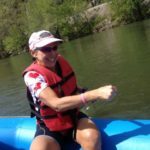 The 4-person team PASSPORT is a great way to obtain a SIGNIFICANT discount for teams of cyclists over our individual registration prices! Save $200 for 4 people. The Team Passport is sold starting on December 1, 2016 for the 2017 tour. The passport is sold through the Shop on our website. Quantities are limited… first come, first served. So get your team PASSPORT for a team discount before they’re gone! Each team member registers individually and enters their team’s unique PASSPORT code to waive the 6-DAY registration fee. DUE TO THE NATURE OF THE PROGRAM THERE ARE NO REFUNDS ON A TEAM PASSPORT AT ANY TIME AND FOR ANY REASON. This is a departure from our normal registration policy, where individual (non-team) registrations completed prior to a certain date can be cancelled and refunded minus a service fee. TEAM MANAGER ASSUMES FULL RESPONSIBILITY FOR THE PASSPORT. Don’t lose it or share it with anyone not on the team. 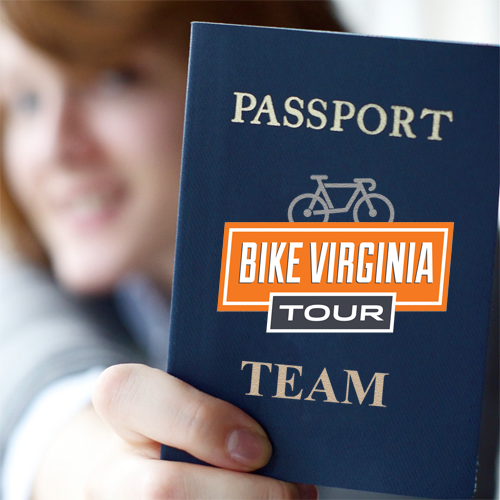 PURCHASING A TEAM PASSPORT DOES NOT REGISTER YOU FOR THE TOUR. Each team member must register individually and use their unique team passport code to waive the registration fee. TEAM PASSPORT MUST BE REDEEMED BEFORE ONLINE REGISTRATION CLOSES. After purchasing a passport, each team member can register at their leisure, but please be mindful of deadlines for any other promotions (e.g. complimentary jersey) and the end of online registration. EACH TEAM NEEDS THEIR OWN PASSPORT. Team size is limited to four. If you have more friends, make another team. The team PASSPORT is not a tangible item as shown. 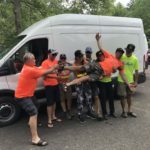 It is a unique virtual code sent through email that may be redeemed exactly 4 times during online registration for the 2017 Bike Virginia Tour 6-DAY package.